Mullappally criticised both CPM and BJP for trying to create ripples in the society. KALPETTA: The efforts of CPM to divide people of Kerala on caste denominations might have dangerous repercussions, warned KPCC Chief Mullappally Ramachandran. Speaking at meeting organised by District Congress Committee at Meenangadi on Friday, Mullappally criticised both CPM and BJP for trying to create ripples in the society. He reiterated Congress has always stood with the devotees and their sentiments. 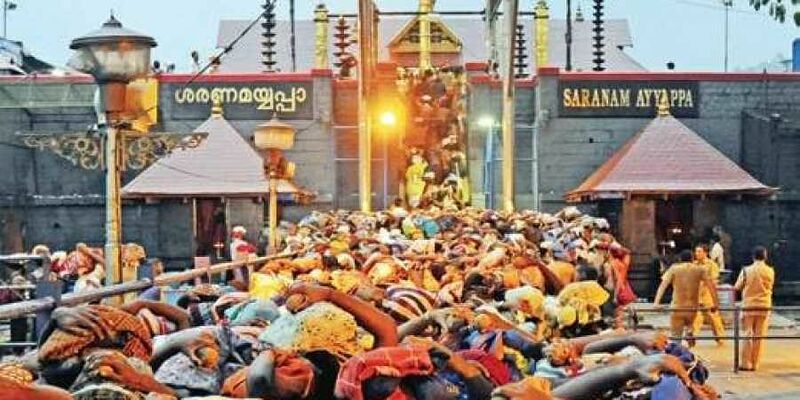 "The Ayyappa devotees had always respected the tradition and practices of Sabarimala temple. The issues pertaining to the hill shrine are serious and sensitive. We should discuss and try to arrive at a consensus on the issue. We must have tried for it. But any possibility to arrive at a consensus have been closed forever," he said adding that there is no need for any political party to comment or pass their opinions on women entering Sunni mosques. "It is purely an internal matter concerning believers," he added. Coming down heavily on both Prime Minister Narendran Modi and Chief Minister Pinarayi Vijayan, Mullappally said that both share common thoughts and are treading on the same path. "When Modi looted Rs 41,000 on Rafael deal, Pinarayi and his Excise Minister were busy permitting the operations of distellery and breweries in the state," he said adding that brewery deal is just one among the many murky deals conducted by LDF government.